Home » Blog » Gutenberg support, pagination fixes, and some cool new features in the works! Pagination in Conductor Widgets and Queries has been fixed when previewing content within WordPress. We also fixed AJAX pagination in the Query Builder when Conductor Widgets were not active (e.g. no Conductor Widget in a sidebar). In our Query Builder Add-On, we fixed a bug where, for queries built using our “advanced” builder, the maximum number of posts was set to the posts_per_page option value by default which caused pagination to break after the posts per page limit was reached. In Conductor Widgets we default the maximum number of posts setting to the posts_per_page option value, but in the “advanced” builder it doesn’t make sense to do this by default. If you’d like to limit the maximum number of posts displayed in our “advanced” query builder, you can use the “Maximum Number of Posts” parameter in the “Limit” clause group. We’re working on a calendar add-on for Conductor that’s almost ready for release. This add-on will allow users to display their content in a calendar layout. It’ll be perfect for events type content and even your blog posts if you wanted to display them in a calendar layout. We’ll have more information about this add-on soon. Along with the calendar add-on, we’re also excited about a nifty feature we’re working on for the core Conductor plugin. 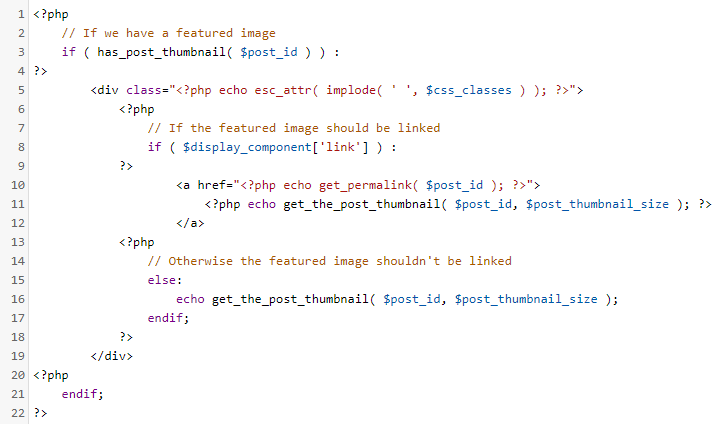 This feature is: exposed markup. Exposed markup will allow users and developers to quickly change the markup of Conductor output. You’ll be able to change the markup for individual display components, like the featured image component. You’ll also be able to edit the markup for the entire output. We’ve found that, while Conductor does a great job of displaying your queried content, it’s nearly impossible to match the display of all of the different WordPress themes. If Conductor doesn’t 100% match your theme’s display, you’ll be able to customize the markup to fit your needs. Only need to add a single CSS class or adjust a HTML element type? You’ll be able to do that. Want to add content before or after an individual display component? You’ll be able to do that too. These types of modifications are currently limited to developers via our hooks, but once the exposed markup feature is released, anyone with basic PHP, HTML, or CSS experience should be able to make markup modifications to fit their needs. While we are working hard on the exposed markup feature, we do not yet have an official release date in mind. Check back on our blog or newsletter for updates as we have them. We have tested all of these updates extensively across many versions and variations of WordPress. If you encounter any unexpected issues after upgrading, please let us know by submitting a support ticket.